I don’t blog much at times and it’s less because of being busy than feeling I have nothing interesting to write about. I posted very sporadic updates due to my year being a little unstable and having a rough start due to some unforeseen circumstances, as life can be tough and unpredictable. It hasn’t all been bad, just rougher and more on the unknown side than previous years. 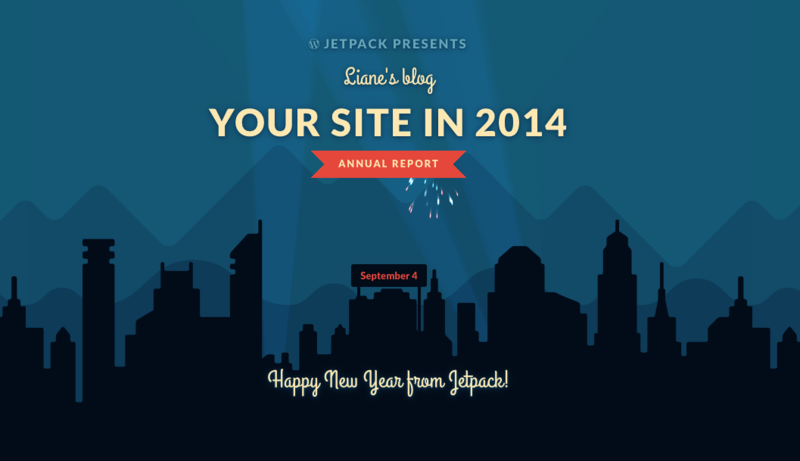 These are the posts that got the most views on Liane’s blog in 2014. My Jetpack Annual report shows my older posts are still surprisingly popular despite them being on subjects I hardly write about. I probably had more big events than most years as I’ve struggled just keeping from breaking down at times this year. This is due to things beyond my control and never feeling able to handle problems that I’ve been dealing with. I personally have felt lacking in support most of these times and especially untrusting as whenever I have told someone about it, things get worse. Trust issues aside, things do seem to be improving in some ways. I doubt some things will ever change and the things that haven’t make me just want to retreat even more. I am not quite done trusting people, just getting to the point that I don’t care to anymore. A lot of my problems only seem to get worse in certain areas, particularly in dealing with those I don’t really know. So my vague post will not get any more specific for now. I’m just limiting my contact as much as possible with people who are unnecessarily critical or opinionated on subjects they know little or nothing about. Everyone has their own struggles and I don’t think mine are particularly unique or impossible, but I don’t feel I have room in my life for those who just assume they know me without talking to me (either online or in person). Even in person, I don’t reveal most of what I am thinking or feeling – I’m always kind of a mystery that way. So without getting too into things, the major issues are my disability (Bipolar 2 ), Social Security issues, and trying to help people who aren’t helping themselves. Sometimes I do feel like being overly critical too. Actually, I have things better than most (a place to call home, good friends, a cat who is good company, good health, some adventures). The annoying issues that constantly bother me are mostly always in my head and totally unnecessary. I know why these bad thoughts are there and escaping them is hard. I dwell too much on the bad and not enough on the good. This has less to do with mental illness and more with how I was raised, but I think the most important thing is never to think more or less of myself because of anyone else. I’ve been very annoyed by family members for making life harder by gossiping about other relatives I don’t even know that well. I’m promising to focus on myself and to make my own life better by being good to myself.